Just eat the damn cake, you guys. It’s International No Diet Day, so we’re bringing you the best news we’ve ever heard. Don’t believe us? You should, because science says so. Yes, a study conducted by the University of Tel Aviv has revealed that starting your day with a slice of cake alongside food high in carbohydrates and proteins could actually give you better long term results than traditionally healthier options. Excuse us while we jump for joy. 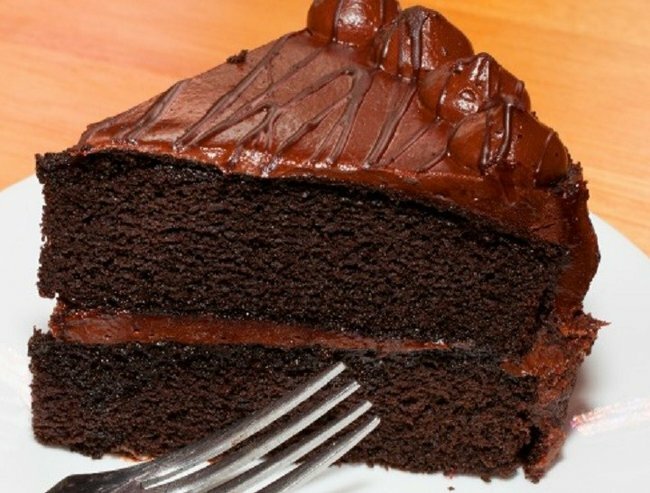 Eating cake for breakfast also meant you were less likely to give into your cravings throughout the day. Apparently morning is the best time to consume sweets because our body’s metabolism is at its most active, and we have the rest of the day to work off the calories. Want more cake? Of course you do: Someone made a life-sized Jennifer Lawrence cake because why not? To make what could be the best discovery of the century, researchers split 193 clinically obese, non-diabetic adults into two groups. The first consumed a low-carb diet that included a 300-calorie breakfast, while the second group consumed a balanced 600-calorie breakfast that included a chocolate cake dessert. At the halfway point of the 32-week study, both groups had lost an average of around 14 kilos. But during the second half of the study, the first group has regained an average of just under 10 kilos per person, while the cake eaters lost an additional six kilos. While both groups consumed the same number of calories daily, the participants in the first group had less satisfaction and felt they were not full, making their cravings for sugars and carbohydrates more intense and eventually caused them to cheat on their diet plan, according to co-study author Professor Daniela Jakubowicz. Speaking of diets… The 4 fad diets that you should definitely NOT try. But I did. “The group that consumed a bigger breakfast, including dessert, experience few if any cravings for these foods later in the day,” she wrote in a statement. However natural therapist Dr Danielle Ashley has some concerns about people using it as an excuse to consume the wrong foods. “According to Chinese dietics the digestive organs are most active between 7am and 9am. This would technically be the best time to eat sweets in a healthy person,” she explains. If you do plan to start “the cake diet”, Dr Ashley also has some recommendations to keep in mind. “If you adopt the approach of eating cake or sweets for breakfast you are starting the day with a meal that has very low nutrition and is potentially bad for your wellbeing,” she says. Just eat the damn cake: It’s official: Dietitians have voted on the world’s 3 most stupid and ineffective diets. So while eating only cake for breakfast everyday is probably not well advised, the study shows a valid point – it’s better to enjoy your favourite foods every so often rather than cut them out completely and then feel guilty when you give into your cravings. Cake to celebrate, anyone?